Move over Deer, Owl, Fox, and Hedgie…. We are going to veer off from all the Holiday themed posts for the day (just a little). 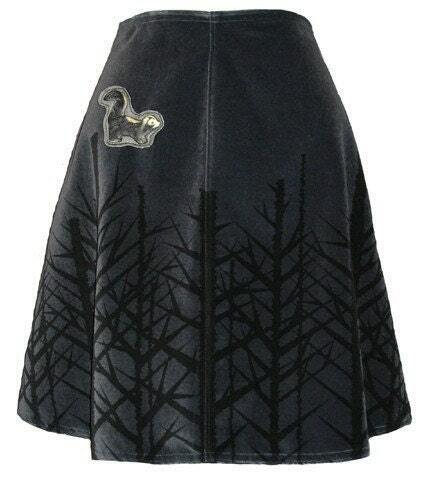 You all know I love woodland creatures, right? Emmy’s room definitely shows it, but I have a deep love for deer, owls, foxes, squirrels…. anything cute and cuddly that lives in the forest. I have noticed that skunks haven’t been “all the rage” as all the others have been. A few weeks ago, picked up the CUTEST vintage wooden pin that is an adorable little skunk. I made it into a magnet and had to keep it. I don’t have a picture handy as it is 10 pm Thursday when I just decided to write this post. I was going to leave you high and dry, but I think it’s time we brink on the skunk! I checked out etsy for some adorable handmade and vintage skunkage. So what do you think? Are you with me? How can you say no to that sweet little face above? Well, I am off to the barn! And then after that off to family fun night at the neighbor’s for a white elephant gift exchange. I made mustache mugs and got my recipient a Dunkin Donuts gift card to go with it. Of course, I happened to have a vintage white elephant, so my lucky recipient will be a proud owner of said white elephant as well. He he. Alright, I dig it! You’re bringing Skunky back! I’m so with you on that! I love the forrest creatures too. Skunks are so adorable and actually the smell doesn’t bother me that much! This is always a big discussion for me and my husband. 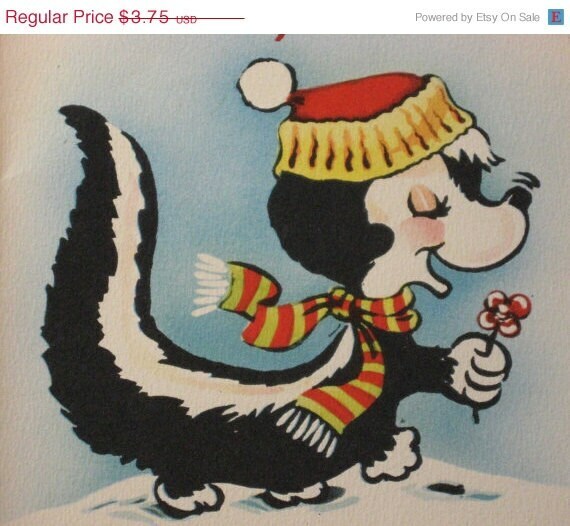 I had never smelled a skunk, since we don’t have them in Germany. Love those little guys! My favorites are the felt pillows! Those are soooo cute!!!!! 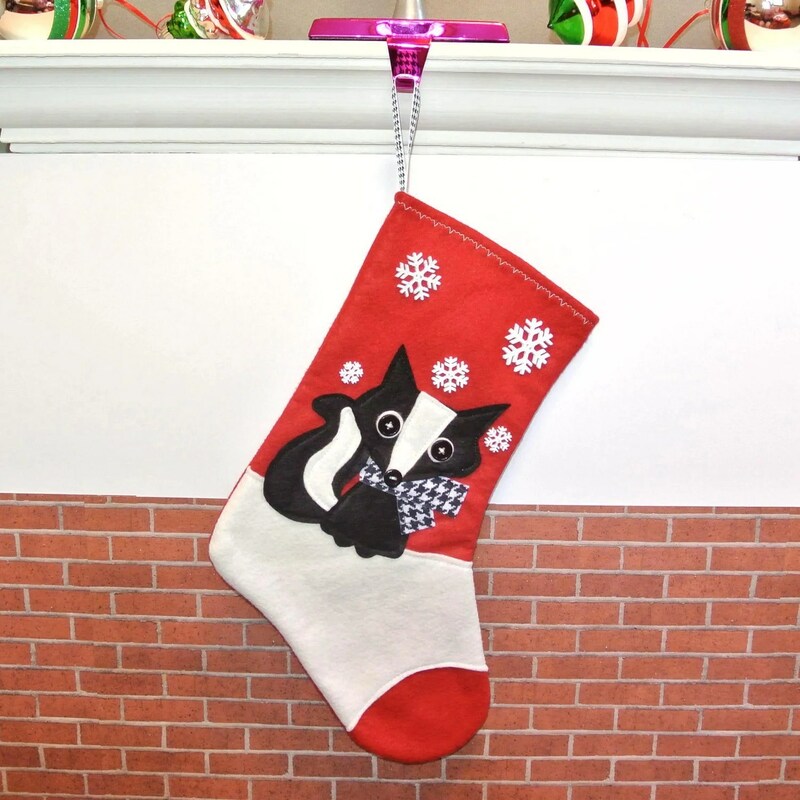 I want that little stocking! 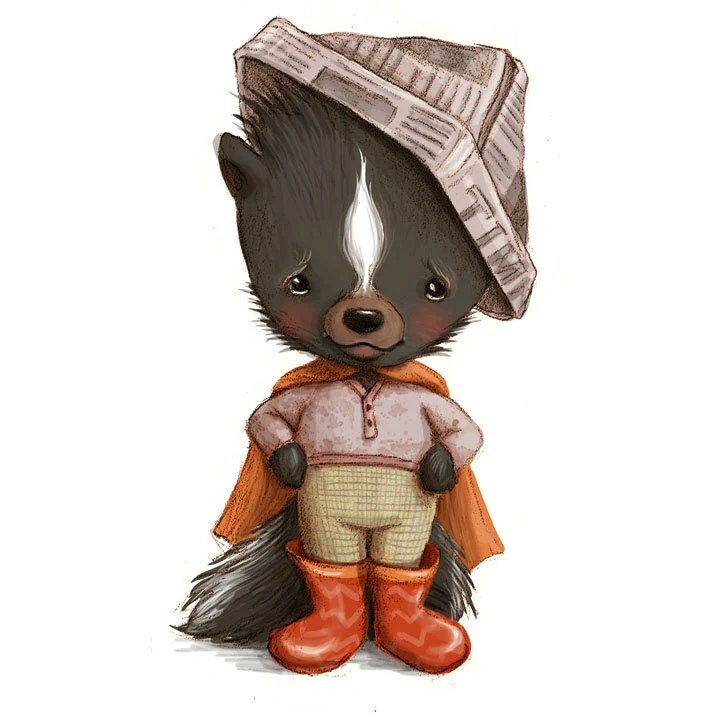 Those skunks are way cuter than the ones that sometimes visit my neighborhood! I was wondering what the next “it” animal would be. Trendsetter. You are like the next Pantone. Everyone will be looking for you for 2014’s animal prediction. Those are all adorable. I had a friend who had pet skunks, they were descented, and were so sweet and adorable! They used a litter box, like a cat, and would stamp their little feet to demand attention, lol. The green towel with pom-poms has me thinking skunks are pretty cute! Have fun! Okay I am with you! So cute! And who doesn’t love Pepe’ Le Pew? 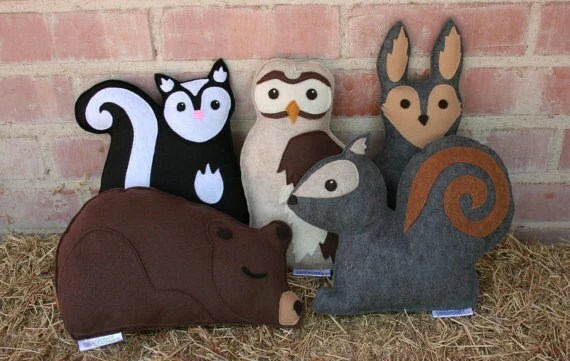 I love those stuffed woodland animals! aww the little skunks are so cute!! Never thought I’d say these words, but… that’s a cute skunk! I will now think of skunks in a whole new light! 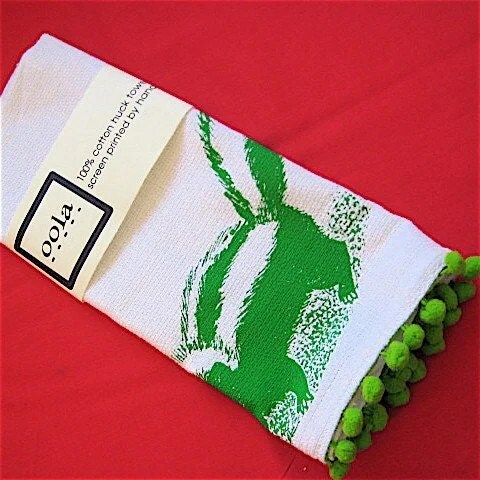 That is a fun towel with the pom pom trim. Enjoy your weekend Cassie! I think you could single-handedly make skunks the next big thing. Do it!